The Princess and I went for a ride around the Quarter in one of those mule-drawn carriages. How quaint. You wouldn't believe how many people stopped and stared when they saw me. Even the men, though the other guy tried to explain it away by saying that the men were looking at the Princess. Maybe, but stare they did. That's his problem, though, not mine. I had another and stayed as sober as a judge! What? 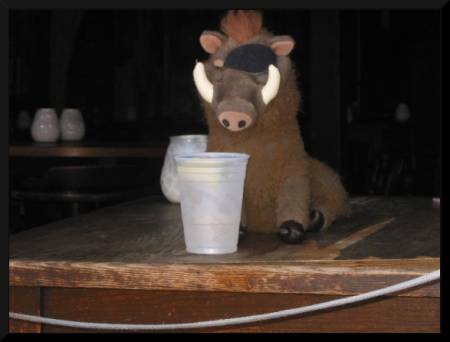 Hasn't anyone ever seen a Warthog? Really…I must get out more often. Well, a few revelers apparently recognized me an asked for my autograph. Naturally I obliged! 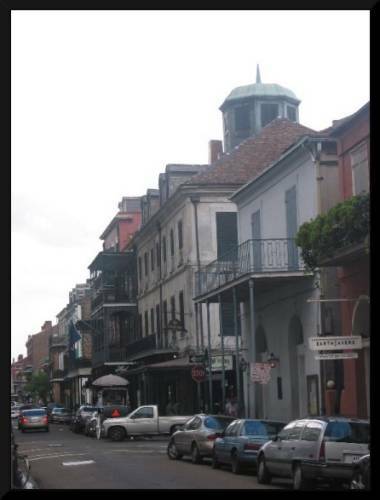 In the middle of the picture below is one of the oldest buildings in the Quarter, The Napoleon House. 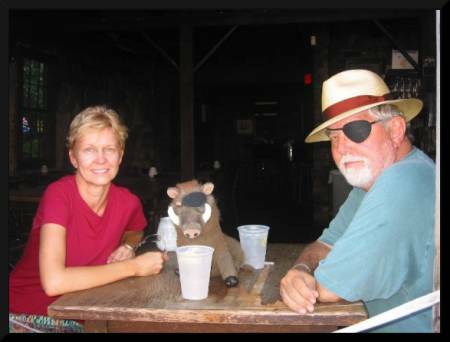 A gentleman named Chuck Taggert says: "Napoleon House is named for the French Emperor Napoleon Bonaparte. The story behind the place is that a group of New Orleanians, including Nicholas Girod, mayor of New Orleans and the pirate Jean Lafitte planned to mount a rescue mission to the island of St. Helena in 1821, where Napoleon had been imprisoned since his defeat at Waterloo in 1815. 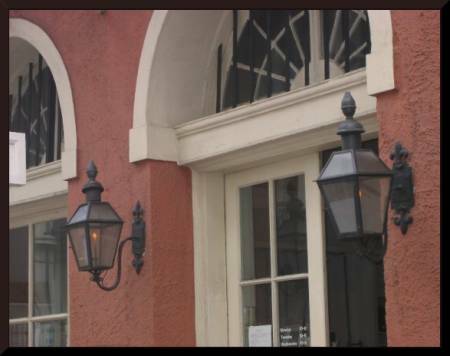 They purchased a house on Chartres and St. Louis Streets that was to be the Emperor's home while they figured out how to get him back to France. Unfortunately, Napoleon died on St. Helena before they could execute their plan." 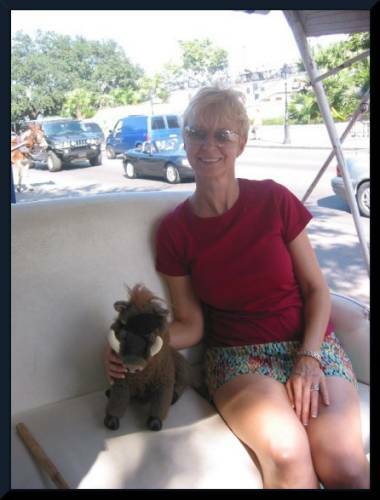 Actually, it was my relative, Jean LaHoof, but be that as it may... .
Well...the most amazing thing! 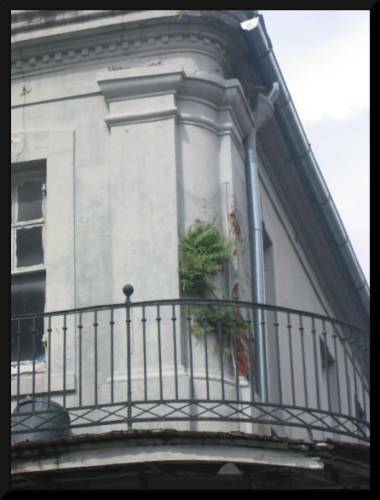 In the heart of the Quarter, plants seem to grow just about anywhere! These simply popped right out of the sides of the building! I know you are holding your breath, so let's get to day 4. You'll have as much fun as I did!